I know it’s been long since I’ve posted stuff related to the paranormal, but I promise, I will post some new material over the weekend! 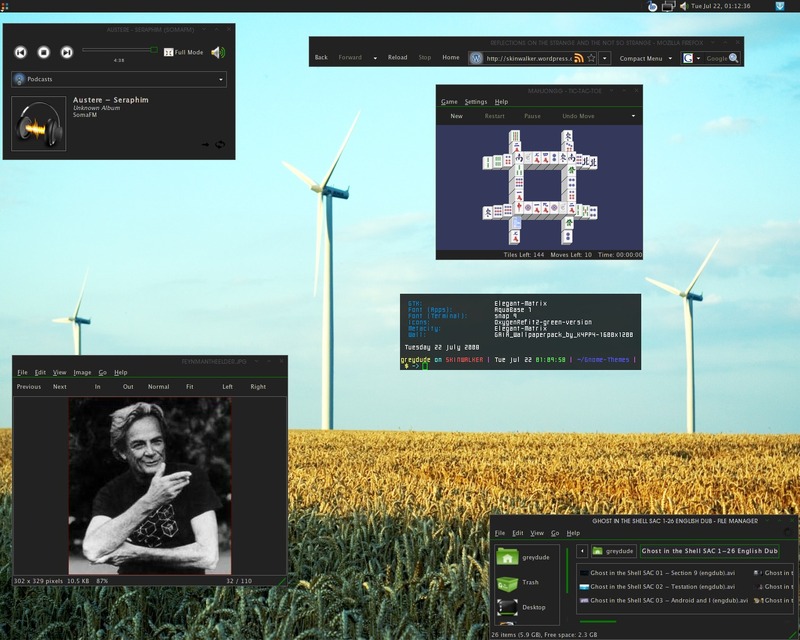 But for the timebeing, how ’bout another Linux customization related post? 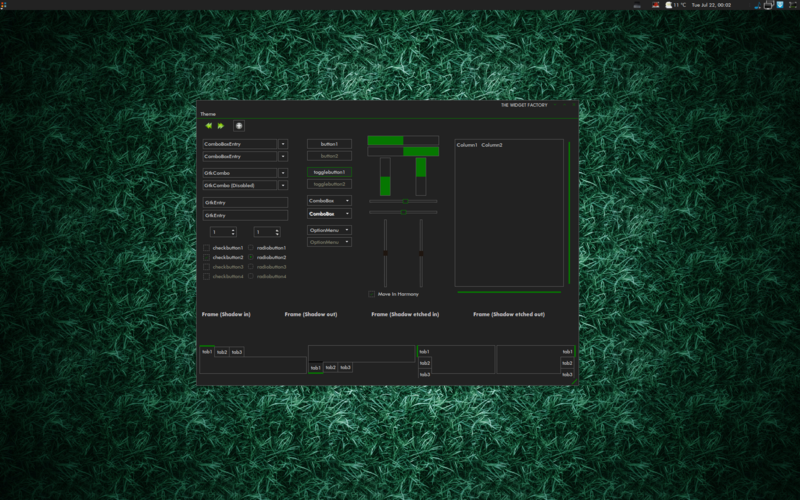 I made another theme, Elegant-Dark Green aka Elegant-Matrix, which is another rip off of the hugely popular Elgant-Brit series, and it’s adapted version Dark Brit! This theme will satiate the needs of foks looking for a minimal, fully functional dark theme for the Gnome Desktop. Had been doing simulations last nite, and cudn’t sleep, so decided to relax by workin on ths theme! I uploaded the theme over at gnome-look as well. Will link the appropriate pages and walla and icon choices in my next post! Here are the screenshots of the theme in action! Screen 3: Another shot but with low resolution! Here’s another desktop I made for my girlfriend. 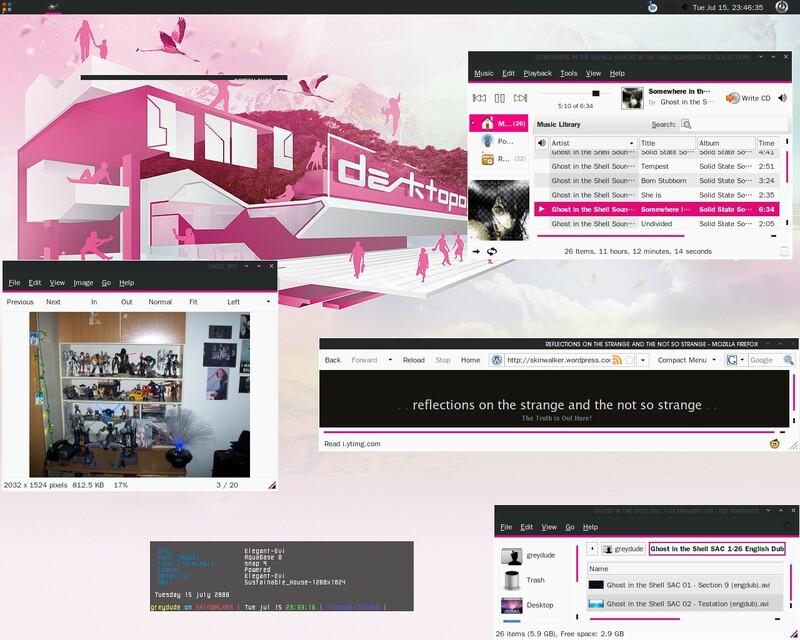 Used an existing theme from DA, changed the panel configuration and modified the Elegant Brit Macmenu Metacity as to suit the theme and here is the result! There is nothing new in this theme though!Click on the thumbnail for full view. As usual, will post the theme details tomorrow! I uploaded a modified version of the amazing Elegant Brit theme at gnome-look a couple of days ago. This theme is just a way of thanking my girlfriend who has been instrumental in turning my life around for the better. 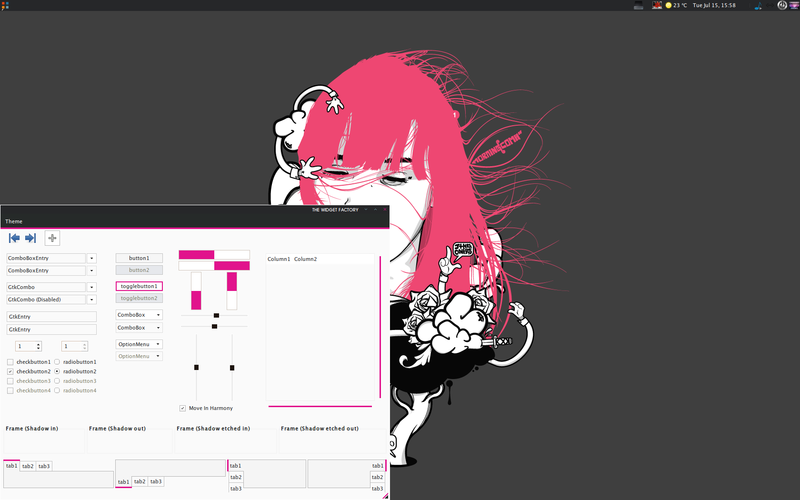 So I just modified the color attributes of the Elegant Brit theme to pink/purple and uploaded it at gnome-look. 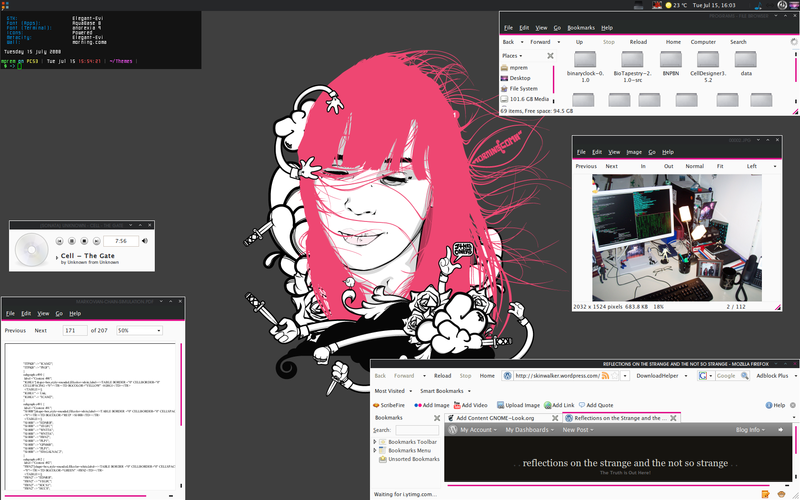 I am not a fan of pink in general, but with right choice of the wallpaper and icons, sometimes such themes do look good. I am uploading a few screenshots of the theme in action. Will link my submission page and wallpaper choices in my next post. For the moment, here are the screenshots! Click on the thumbnails for a better view.